Have you ever imagined waiting your turn to leap from one bar to the next or balanced on the beam while the crowd waits with bated breath for you to stick that landing? Yes? Then look no further than the Eugene, Cascades & Coast region for your next gymnastics meet. 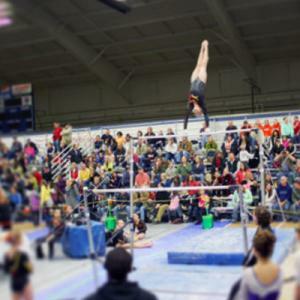 With a variety of indoor multi-use facilities that cover all aspects of a great meet, we have hosted events such as the 2018 Men's Region 2 Gymnastics Championships - US Gymnastics Academy, the 2016 Regional Gymnastics Championships - National Academy of Artistic Gymnastics and the nationally renowned Emerald Team Challenge, which brings in over 900 gymnasts. The Eugene, Cascades & Coast region has more to offer with our proximity to additional exciting activities, including natural wonders to experience. Life is SPORT! Give us a call to host your next Gymnastics meet in the Eugene, Cascades & Coast region. Event center with six multi-use courts, inline hockey/lacrosse rink, sports leagues, classes, cardio and weight equipment, rock wall and golf simulator. Lane Community College boasts exceptional indoor and outdoor facilities, including recent state-of-the-art upgrades to the track & field and soccer facilities. No stranger to hosting large events, LCC regularly hosts Oregon State High School championships, and most recently hosted the NW Athletic Conference Soccer Friendlies. Lane Events Center features a 75,000 square foot exposition space that includes two large halls, one with a permanent stage, a glass enclosed atrium and four dividable meeting rooms. Additional buildings are available on campus for events as well. Full catering services, Wi-Fi and 2500 parking spaces are also available. Mac Court is a nostalgic piece of history for Eugene. 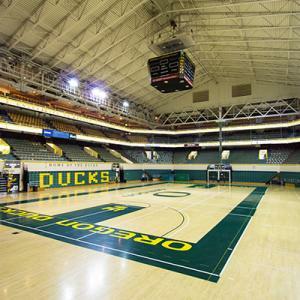 It was built in 1926 on the University of Oregon Campus, McArthur Court (Mac Court or The Pit) was the home of the Oregon Ducks men’s and women’s basketball teams until 2011 when it was replaced by Matthew Knight Arena. 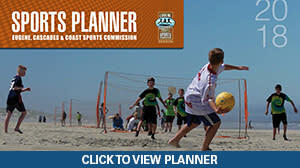 Mac Court is dedicated for recreational use and is available to rent for sports events. Facility includes a full-length artificial football surface, a synthetic four-lane 120-meter running track. An automated system of nets can be lowered within minutes to convert the structure into a batting cage for softball or a driving range for golf. The Student Recreation Center provides a variety of indoor and outdoor facilities for recreation. 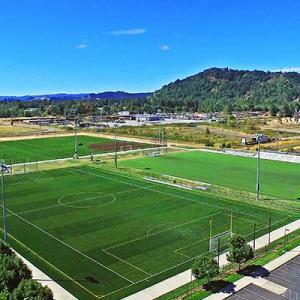 The facilities include the 250,000 square foot Student Recreation Center and Aquatics Center, Gerlinger, Gerlinger Annex, the Student Tennis Center, Macarthur Court, 18th Street Tennis Courts/Track, natural and turf fields.